At a certain point, it gets hard having to hold it together," he says of the group's breakup. "I feel that this can be fun [because] it's not going to take over our lives completely again. After 10 years away, you can recharge your friendship. After years and years in a band, it puts a strain on your friendships, because you're not just friends; you're in business together. You remember why you all like each other." As for what the group will play at those gigs, Wareham says the group's recent reunion jam found them playing a career-spanning selection of songs. 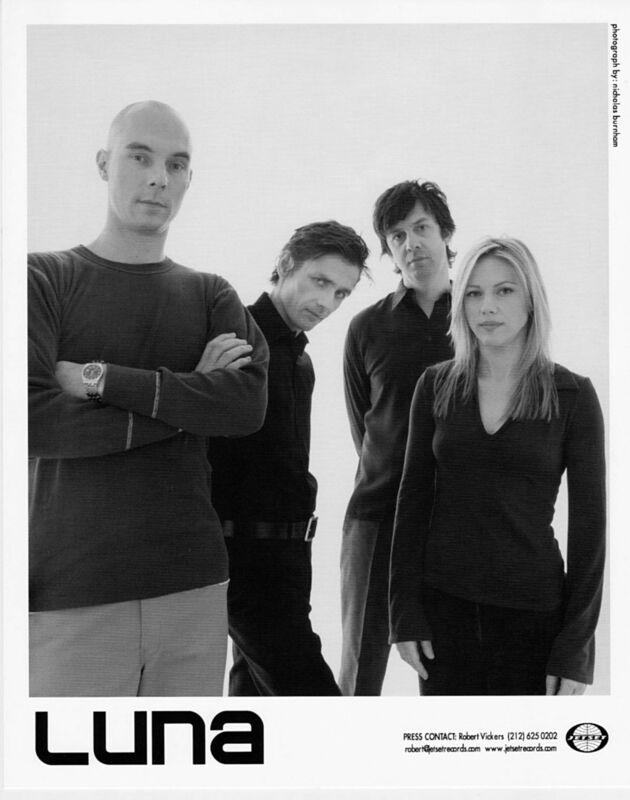 Among them were "Anesthesia" from Lunapark (1992), "Friendly Advice" from Bewitched (1994), "23 Minutes to Brussels" from Penthouse (1995) and "Tracy I Love You" from Pup Tent (1997). The group will have its first practice sometime next year, when it will decide the final set list for the Spanish tour, though it will likely include songs from all of their albums. Although Wareham does not want to give specifics, he says he's been in talks to license the first five Luna records for vinyl release, though the deal has so far proven complex. "I'll believe it when the papers are signed," he says. He also says compilations of songs from the band's vaults could also be a possibility, but that, too, is a complicated situation since the group doesn't own the records. Read more on Rolling Stone's website.